John Paul II , sometimes called John Paul the Great, born Karol Józef Wojtyła 18 May 1920, Wadowice, Republic of Poland – 2 April 2005, Vatican City), reigned as Pope of theCatholic Church from 1978 until his death in 2005. He was the second-longest serving Pope in history and the first non-Italian since 1523. 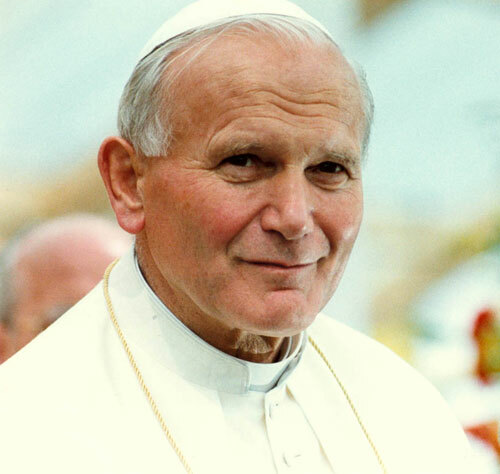 In this episode, Dr. Lilles discusses The Prayer of St. John Paul II. He reflects on “Sign of Contradiction” The Lenten Retreat preached in 1976 by Karol Cardinal Wojtyla to Pope Paul VI and the papal household. Dr. Lilles’ continues his Day of Recollection offered in April 2013. In an age of great confusion and rejection of God, St. Therese of Lisieux, St. Elisabeth of the Trinity and St. John Paul II find in Christ the reason for our hope. 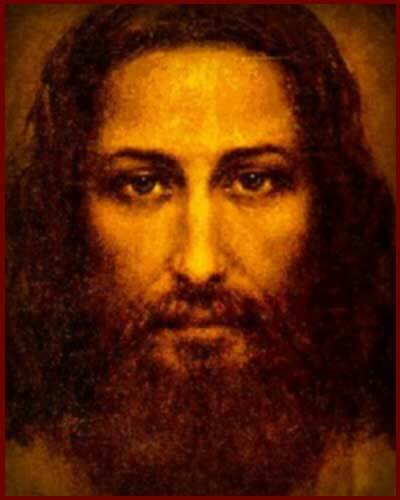 Starting with St. Therese’s devotion to the Holy Face expressed in living her life as an offering to merciful love, we will see how the pathway she pioneered was followed and further developed in the spiritual missions of St. Elisabeth of the Trinity and St. John Paul II. In particular, we will contemplate the relationship of mercy and hope that the Face of Christ helps us to see when hope and mercy are most needed so that we too can follow the path of mercy. Dr. Lilles continues his Day of Recollection offered in April 2013. Anthony will introduce the saints who will guide us through our reflections: St. Teresa of Avila, St. John of the Cross, St. Therese of Lisieux, St. Elisabeth of the Trinity and St. John Paul II. He also answers questions about methods of prayers, teaching others to pray, and how can one help restore the sense of the sacred to the mass and Eucharistic adoration. Dr. Lilles’ offered a Day of Recollection in April 2013. We are blessed to have the presentations he gave that day in audio form. They are OUTSTANDING! ourselves to the Lord ever more completely. Our day begins with a meditation on the psalms which point the way to this prayer. We will introduce the saints who will guide us through our reflections: St. Teresa of Avila, St. John of the Cross, St. Therese of Lisieux, St. Elisabeth of the Trinity and St. John Paul II. Anthony Lilles, S.T.D. is an associate professor and the academic dean of Saint John’s Seminary in Camarillo as well as the academic advisor for Juan Diego House of Priestly Formation for the Archdiocese of Los Angeles. For over twenty years he served the Church in Northern Colorado where he joined and eventually served as dean of the founding faculty of Saint John Vianney Theological Seminary in Denver. Through the years, clergy, seminarians, religious and lay faithful have benefitted from his lectures and retreat conferences on the Carmelite Doctors of the Church and the writings of Blessed Elisabeth of the Trinity. After graduating from Franciscan University of Steubenville, he completed licentiate and doctoral studies in spiritual theology at the Angelicum in Rome. In 2012, he published Hidden Mountain, Secret Garden: a theological contemplation of prayer by Discerning Hearts. Married with two young adult children pursuing their careers and a teenager still at home, he has settled in family in Oxnard, California. He is the author of the “Beginning to Pray” Catholic blog spot. In this episode Dr. Reno examines Faith and Reason through St. John Paul II’s “Fides et Ratio”. Faith and reason are like two wings on which the human spirit rises to the contemplation of truth; and God has placed in the human heart a desire to know the truth—in a word, to know himself—so that, by knowing and loving God, men and women may also come to the fullness of truth about themselves (cf. Ex 33:18; Ps 27:8-9; 63:2-3; Jn 14:8; 1 Jn 3:2). 1. In both East and West, we may trace a journey which has led humanity down the centuries to meet and engage truth more and more deeply. It is a journey which has unfolded—as it must—within the horizon of personal self-consciousness: the more human beings know reality and the world, the more they know themselves in their uniqueness, with the question of the meaning of things and of their very existence becoming ever more pressing. This is why all that is the object of our knowledge becomes a part of our life. The admonition Know yourself was carved on the temple portal at Delphi, as testimony to a basic truth to be adopted as a minimal norm by those who seek to set themselves apart from the rest of creation as “human beings”, that is as those who “know themselves”. “Christian Apologetics with Dr. R. R. Reno” explores numerous facets of faith and reason in the life of the Church and the world. Grounded on the work of giants, such as St. Thomas Aquinas, St. Bonaventure, Blessed John Newman, soon-to-be Blessed John Paul II, G. K. Chesterton, Blaise Pascal and Stephen Barr, Dr. Reno helps us to open our minds to make the journey to our hearts. R. R. Reno is the editor at First Things: A Journal of Religion, Culture, and Public Life, and Professor of Theology, currently on leave from Creighton University. His theological work has been published in many academic journals. Essays and opinion pieces on religion, public life, contemporary culture, and current events have appeared in Commentary, and the Washington Post. In Fighting the Noonday Devil Reno suggests that putting ourselves at the disposal of what is real is what trains us for true piety. His other recent books include Genesis: Brazos Theological Commentary on the Bible and Sanctified Vision: An Introduction to Early Christian Interpretation of the Bible. The “Declaration of Independence” and American political philosophy and what it involves. What is the “natural law” and how it applies to political thought. There are principals of political “rights and wrongs” and these are the foundations for political practice (which are not always followed by the human person). What are the “self-evident” truths? What are “natural rights”? Why did this system of thought survive given the American experience compared to the results of the French revolution and its theories? Both might be “children” of the Enlightenment, but one was hostile to Christianity, the other embraced it.